Enter this book giveaway to grab a paperback copy of Lethal Licorice by Amanda Flower. 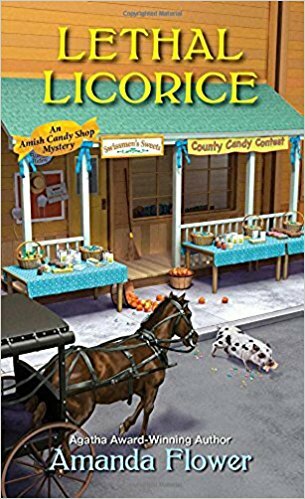 Characters that feel like family and a deliciously different setting make Lethal Licorice a wonderful way to spend an afternoon. See my review here. Giveaway begins October 12, 2018 at 12:01 A.M. PDT and ends October 19, 2018, at 11:59 P.M. PDT. Winners will be selected at random on or about October 20, 2018. Odds of winning depend on the number of eligible entries received. Void where prohibited or restricted by law.